This week a plumber visited my home to fit a stop valve on our water system. The water mains supply into the house was discovered to be lead piping. On thinking about this it is not surprising. Like many houses in the UK, and in Brighton especially, the house is over 100 years ago. In fact lead piping was commonly used in the UK up to the 1960s and generally much later in the US. 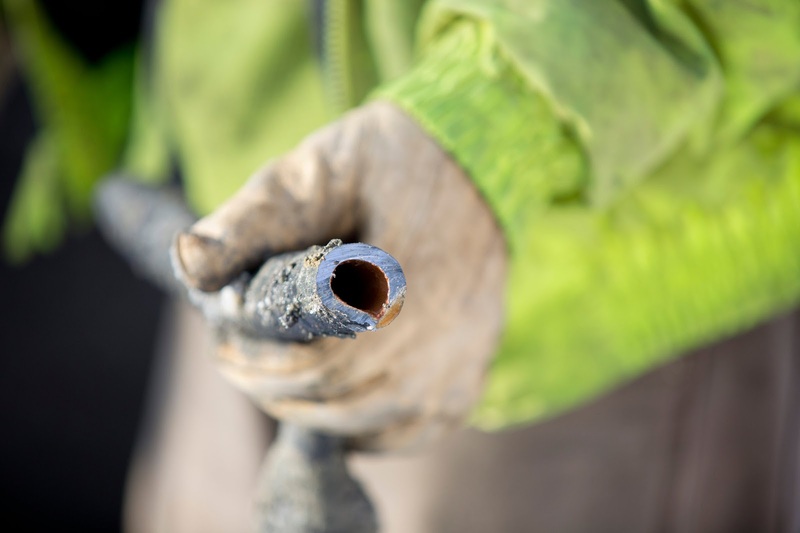 If you live in an older property, your supply pipe - the underground pipe that connects your home to the public water mains - could be made of lead, and there's also a good chance that there may be some lead pipes inside your home. Old homes can have lead service lines, indoor plumbing with lead content, lead solder, leaded copper pipes, lead lined storage tanks, and even lead fixtures. The human health risks which relate to how lead can build up in the body have been studied extensively and are generally well understood. Lead is a highly toxic metal and a very strong poison which can lead to serious, irreversible conditions, which can sometimes be fatal. It can cause severe mental, physical, and behavioural problems, that can build up over a number of years. The U.S. Environmental Protection Agency (EPA) states that lead is the most serious environmental health hazard for children under 6 years old in the US. Young children are most vulnerable because their brains and nervous systems are still developing - lead can have an adverse impact on mental development and children's rapidly growing bodies absorb lead more quickly. It has been estimated that infants drinking formula can get half of their lead exposure from drinking water. Excessive amounts of lead may place adults at higher risk for cancer, stroke, kidney disease, memory problems and high blood pressure. Lead can cause premature birth, reduced birth weight, seizures, hearing loss, behavioral problems, brain damage, learning disabilities, and a lower IQ level in children. In addition to piping lead can be present in lead-based paints, including paint on the walls of old houses and toys. It can also be found in art supplies, contaminated dust and some gasoline products, some jewellery, pottery, contaminated soil, batteries and even some cosmetics. You wouldn't really want your water coming through these pipes would you? From the 1970s onwards domestic uses of lead have been prohibited across Europe. As a result of health concerns, the UK Government banned the use of lead in many products, and it has not been used for water pipes since 1970. The Government also advises that we should minimise our exposure to lead from all sources, including drinking water. lead is not present in the water within our wider public water supply network. Furthermore if your home has been modernised since 1970 and all of the pipes from the water company's stop valve outside your home to the kitchen tap replaced, there should be no lead piping on your property. However before 1970, many smaller water pipes were made from lead. 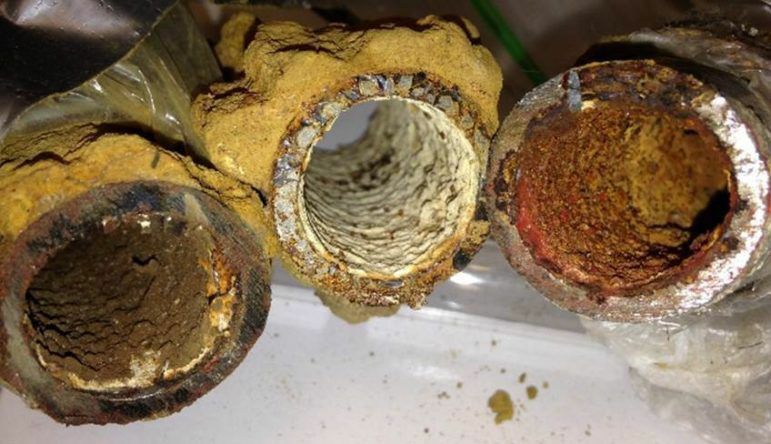 It is therefore very likely that in older properties part, or all, of the underground service pipe connecting the water main in the street to your kitchen tap may be made from lead. It is also possible that some original lead plumbing remains within older properties especially if the kitchen has not been modernised. lead from the pipe into the water. However in soft water supply areas there is a greater likelihood of lead from pipes being present in the water. Another source of lead in drinking water is the illegal use of lead based solder to join together sections of copper pipe. Lead solder is still sold for use on closed central heating systems and mistakes occasionally happen whereby unqualified plumbers or householders use lead solder on drinking water pipes contrary to the law. 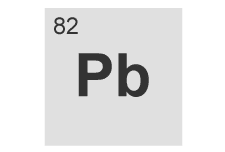 Lead can also corrode from metal faucets and fixtures made from brass, an alloy of copper and zinc that often contains lead impurities, including chrome-plated brass fixtures. Brass fixtures can leach lead even in homes with plastic water lines. Solder is an alloy of tin with lead, antimony, or silver. Lead may also originate from the corrosion of brass fittings on certain types of submersible pumps used in groundwater wells. be above the health based standard. can ask a plumber to carry out this check for you. for you as in some cases as access may be difficult. • plastic - typically blue but if older may be grey or black. How Can I Find Out if There is Lead in My Drinking Water? history of lead pipes having been used and not removed. Since lead poisoning in water is colourless, odourless and tasteless, the only way you can be sure is to have your water tested. You can also have your water sampled by a private laboratory for which there would be a charge and this can be through your local authority environmental health service. If you live in social housing or you are a tenant, your first point of contact for further advice is also environmental health. What Do I Do if Lead is a Problem in My Property? Water acts to dissolve lead from pipes and solder while the water is in contact with the plumbing. Therefore, lead concentrations in drinking water usually are the highest in the first water out of the tap; they decrease as the water is run. If lead pipes, leaded solder, or brass fixtures are present, even relatively noncorrosive water can dissolve dangerous amounts of lead if the water sits in contact with these materials for an hour or more. because they may be legally required to replace their communication pipe if lead levels are above the safe standard - in the UK this is measured as a maximum of 10 µg/l (10 microgrammes per litre). By way of comparison in the U.S. the EPA set the maximum allowable concentration of lead in public drinking water at 15 µg/l. Tests carried out in the US found that out of 872 first-draw lead tests from 2007 through to 2015, 16% exceeded the 15 µg/l drinking water standard. Of the 1,346 samples that were tested after the water had been run, only 3% exceeded the 15 µg/l level suggesting that most high lead levels were occurring due to corrosion of metal plumbing. It is not uncommon for lead readings from taps drawing on old little used plumbing to exceed the safe levels by multiple factors. A recent report on schools in Madison, Wisconsin, found measurements as high as 740 µg/l - many times above the safe level! Measurements and standards are helpful but since lead serves no beneficial purpose in the human body, it is best if drinking water contains no lead at all. earthing arrangements dependent on the pipes. Ask your electricity supplier if in doubt. Some local authorities offer assistance with removal of lead pipe from social housing. Who is responsible for the pipework? 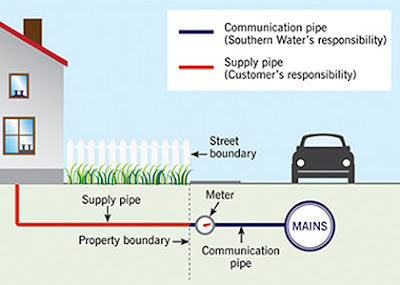 The part of the service pipe that links the water main in the street to the stop valve (or the meter) outside your property belongs to the water company. This is known as the communication pipe. enters your home is the responsibility of the owner. This is known as the private or supply pipe. All the plumbing inside your home to the kitchen tap is the responsibility of the property owner. However in some cases the water company will be responsible for replacing lead piping leading up to the house if lead levels are above the legal limit. Please contact your local water company for further information. Acid-neutralizing filters can be installed to reduce water corrosivity by adding calcium and by increasing the pH of the water. Unlike other treatment options, these filters act to prevent lead from entering the water rather than removing it at the tap. In addition to reducing acidity, the added hardness produces a thin scale inside the pipes that reduces lead corrosion. These units normally cost over £1000 and may cause a noticeable increase in the hardness of your water. Contrary to some claims, water softeners are not recommended for lead removal. Softeners are inefficient lead removal devices, and they are usually installed in the plumbing system ahead of the piping and fixtures where most of the lead originates. Also, softened water is usually more corrosive than un-softened water. Reverse osmosis units and activated alumina filters are very effective in removing lead once it is in the water. These units typically are attached to the kitchen tap and treat only the water from that tap. Costs vary from £300 to more than £1,000. However reverse osmosis units of this size can produce only a few gallons of treated water per day. Distillation units, also normally placed on the kitchen counter, are effective in removing lead from drinking water. However, they are relatively expensive to operate and produce only a gallon or so of water per day, depending on their size. Other treatment devices such as granular activated carbon (GAC) filters can remove lead, but their efficiency is questionable. 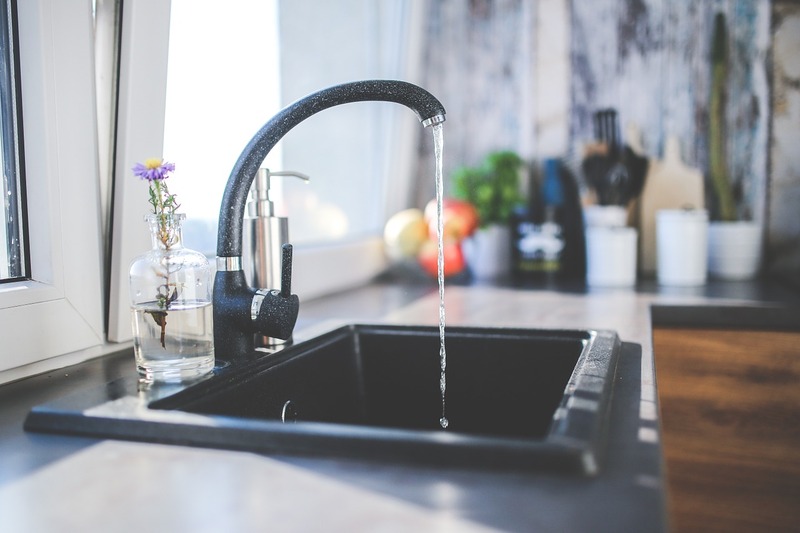 Small, inexpensive counter-top filter units are often marketed for lead (and fluoride) removal but consumers should check claims can be substantiated. It is also important to note that small counter top units are limited in the amount of time that the filter is effective in removing lead. A National Sanitation Foundation (NSF) seal on treatment equipment is one method of ensuring that the unit has been tested for adequate removal efficiency. A NSF seal does not guarantee, however, that the filter will be effective after many months of continuous use, and filter replacement is always required periodically. 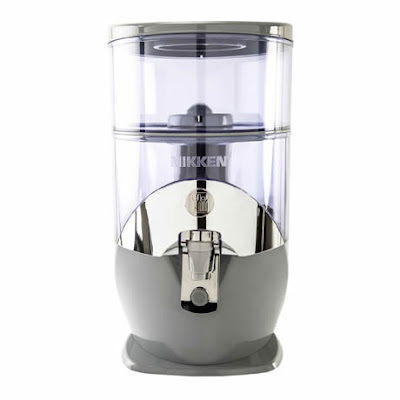 If you have a maintained Nikken water filter you don't have to worry about lead. As well as all the other health benefits the filter will remove lead in accordance with national standards. In the US the standard is demonstrated by compliance with NSF/ANSI* Standard 53 (pertaining to the evaluation and certification of drinking water treatment systems for the reduction of contaminants including chemicals and metals) and specifically Standard 372 (low lead compliance). In the UK tests have shown lead present in tap water is reduced by 91%. See this test sheet. This gives assurance that whatever the extent of your potential lead piping under your house your drinking water will be safe. *The National Sanitation Foundation, and the American National Standards Institute. Manufacturers voluntarily submit products to NSF International for independent testing and certification to NSF/ANSI Standards. NSF International performs a thorough product review and evaluation, and conducts rigorous product testing to verify that the product meets the requirements of the standard. NSF certified water filters for lead reduction have been evaluated in a study using water that contains 150 parts per billion (ppb) of lead. This lead concentration is ten times higher than the U.S. EPA maximum allowable level in drinking water. The filters are challenged at this level of contaminated water for beyond the filter’s claimed service life-cycle. Certification is only confirmed when the product has met all of the lead reduction and other requirements of the standard. NSF also audits the facilities in which the products are manufactured annually to ensure the product being manufactured meets the standard.